Samsung's Note9 may be the new hotness, but the S9 and S9+ are basically smaller versions of the same thing, and they're a lot cheaper than the $1,000 monolith. So if you had your eye on one, waiting for the price to fall in this post-Note9 world, the time is now. 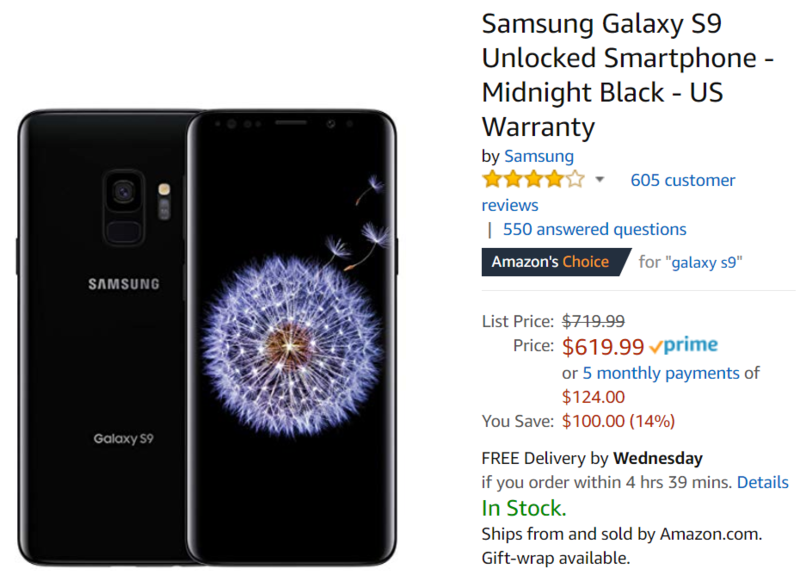 Galaxy S9 and S9+ prices were recently slashed by $100 pretty much everywhere. 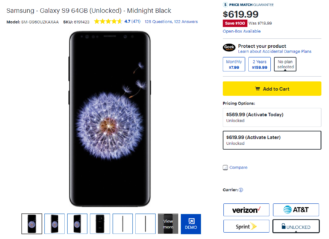 That means you can pick up a new, unlocked, US-warrantied Galaxy S9 for as low as $620. Every major retailer, from Amazon to BestBuy, B&H Photo, and even Samsung's Store has the newly discounted pricing. So if you'd like to combine it with some promotion, gift card, or rewards program to save a little bit extra, you can pick and choose. For example, B&H Photo doesn't charge tax outside New York and New Jersey (ostensibly it's on you to report it). This discount affects all sizes and colors so you can get a 64GB S9 for $620, a 64GB S9+ for $740, or spend as much as $860 on the granddaddy 256GB Galaxy S9+, in everything from Black to Lilac and Coral Blue. On the fence? 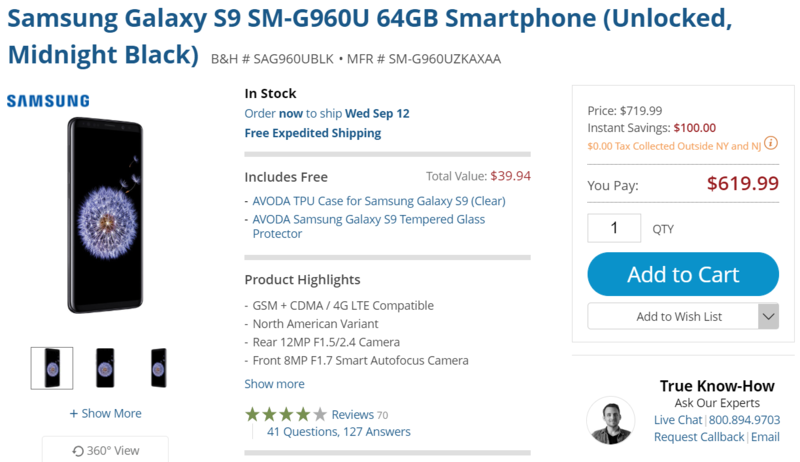 Take a look at our review, and you might be able to tell if the S9 is for you.